Worldsensing’s Smart parking System Fastprk allows drivers to find the nearest parking space in the cities where it has been installed. This is possible thanks to Fastprk App, now available from the Android Store for free, and which will also soon be available from the Apple Store. 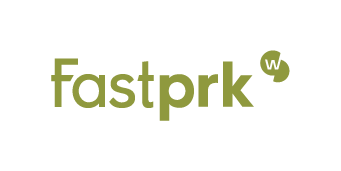 By using your geolocation, Fastprk App drives you to the nearest parking space in city centres such as Castelfranco (Italy) Les Corts (Barcelona, Spain), Baerum (Norway), Singapore, and Torrent & Alzira (Valencia, Spain). Worldsensing’s parking solution collects information from the sensors installed in each parking spot and sends it to the system, showing parking availability to drivers through Fastprk App and through electronic street panels. Based on reliable real-time information, Fastprk helps drivers save time and fuel while reducing traffic and pollution in city centres. Worldsensing is a technological company founded by four engineers: Ignasi Vilajosana, Xavier Vilajosana, Jordi Llosa and Mischa Döhler. Created in 2008 in Barcelona, it has offices in Barcelona and London and it has already become a referent within Smart City and IoT sectors, holding projects in 14 countries and counting on a team of 40 highly qualified employees. Worldsensing revolutionises traffic management and the industrial world through solutions based on wireless sensored networks allowing detection and data capture in real time.